Oh my gosh! I want to make these immediately! I shall add these to my short, but growing, list of fermented veggies. Just made a batch of David Chang’s cucumber kimchee – in 10 days, we’ll see how that one is. Question: where does one get ‘cubes of frozen chicken stock’ – or is it your own? @DrFugawe, yes! Whenever I make chicken stock, I fill up an old ice cube tray and freeze it, so I have easily accessible small amounts of stock for stirfries and deglazing. Also handy is a similar technique I’ve started doing that I have a chest freezer: filling little plastic containers (mostly single-serve or slighly larger yogurt containers) with stock and freezing them on a cookie sheet. Then I pop the stock out of the plastic containers and freeze them in another freezer bag. Will try right away, but maybe cut back on the salt in the recipe and see what happens. Have you already tried that? @Carol, green beans are tricky, as you can see from my experiments, and I haven’t seen a single trustworthy source from Germany to China that recommends low-salt pickling. I’m more of the “eat fewer pickles” than “cut salt and eat many pickles that don’t taste as good” school of thought. That doesn’t mean it can’t be done, but I don’t recommend it. If you want to risk losing a batch, though, go for it and report back, if you please! You have a good recipe, but you are missing out on the Szechuan part. If you keep the recipe the same, but take a couple of tsp. of szechuan pepper corns, and a couple star anise in a cup of water; bring to a boil and let cool to room temperature. Then add this to your beans and don’t forget to put in several ginger “coins”. The addition of a few tsp. of sauerkraut ferment juice is a good idea to kick-start the fermentation. I made these this summer and they were wonderful. Hi Sourdough Al, I absolutely love your moniker. I had to think for a moment about using “sourdough” as a modifier in all kinds of ways. Thank you for that flight of fancy. Anyway, I have to say I really didn’t like the spices at all, especially the ginger (I assume you’re using Dunlop’s recipe?). The beans I had at the restaurant and liked so much were plain. So I went with a less complex treatment. That doesn’t mean my tastes are yours, though, so folks should experiment! without the spices and gaoliang liquor (not rice wine or vodka like dunlop says, thats weird), the beans will just taste sour with no other flavors. i have made pickled beans and other vegetables the chinese way many times and it came out well. John, no one said ginger or alcohol will stop fermentation; the alcohol will inhibit it. I’ve had problems with just the beans. Your link is a recipe for mixed veg pickle, and I suspect the variety would aid fermentation. I feel your pain! 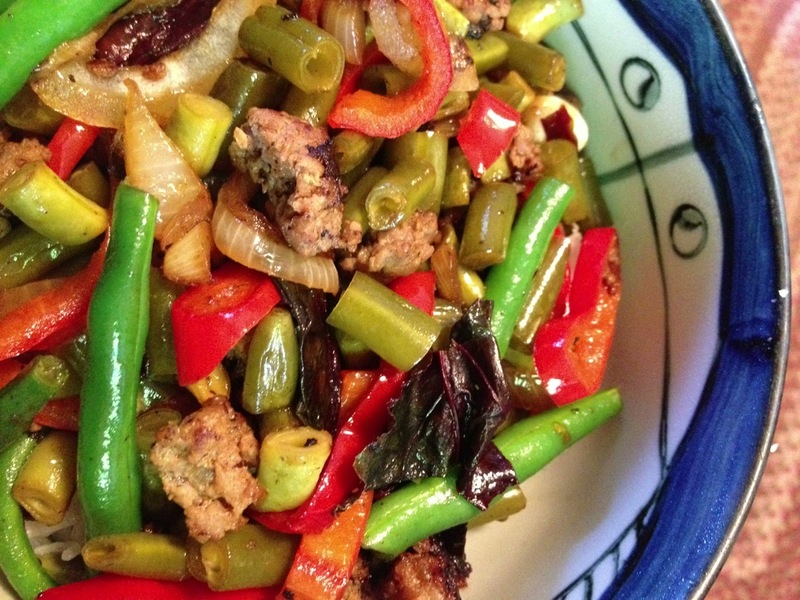 My mother-in-law’so came for a visit two summers ago and made these amazing sour green beans with minced pork! I fell absolutely in love and asked, as best as I could how to make them, however my grandmother-in-law, (is that a thing? Lol!) didn’t speak English and I don’t speak Mandarin. 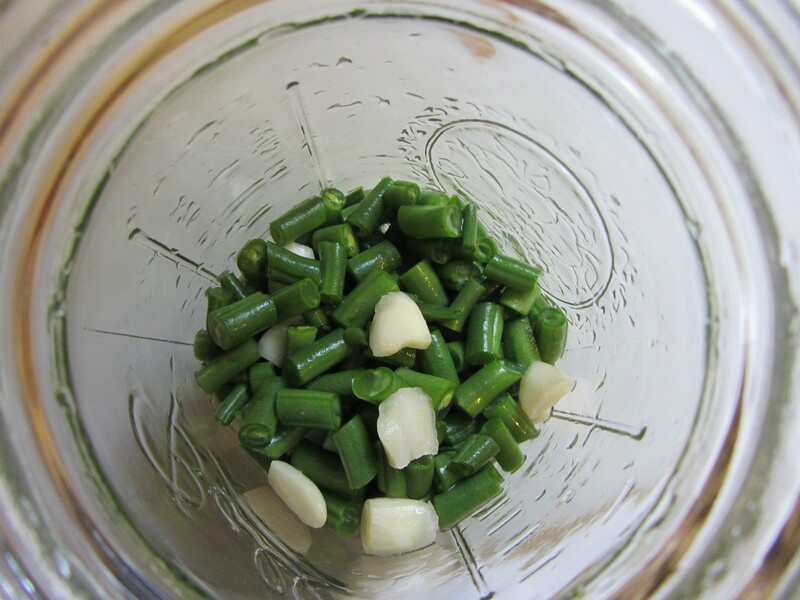 So she showed me what was inside the huge jar, ginger, garlic, dried chilis, and long green beans. Then she put them in the sun. I immediately started scouring the Internet looking for a written recipe. I found a few, tried them and ended up making little green salt licks, lol! So halved the salt and same problem, so I quartered it and it was bearable, but still not the magical beans I had that summer. My search continues and I will try your recipe and hope I find the secret to those delicious beans! Thanks for the recipe!